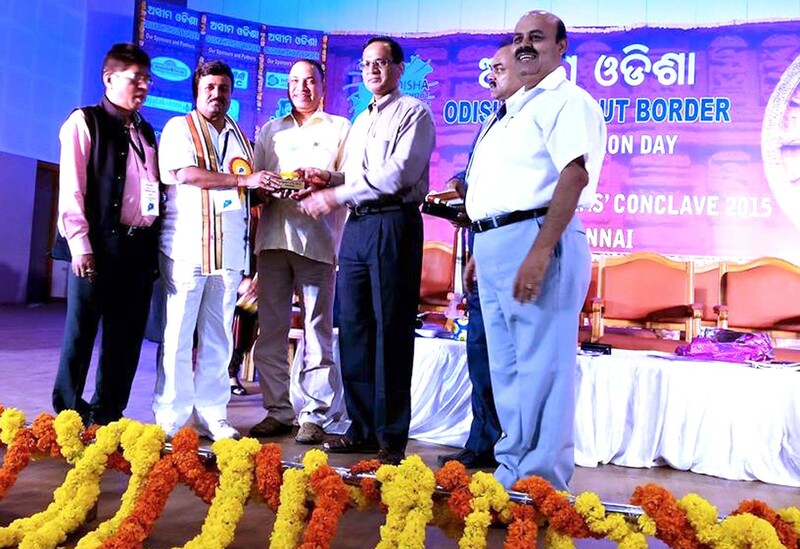 The national conference of Asima Orissa, held at Chennai from August 8 for two days applauded Orissa Bhasa Sangram Samiti for its glorious role in waking up the Government of Orissa to the essential need of governance of the State in mother tongue Oriya. Samiti Convener Sri Sankar Parida and Joint Convener Dr. Subrat Prusti attended the Conference. Delegates from different parts of the country, who have kept abreast of the movement of the Samiti including the recent fast onto death for implementation of the Orissa Official Language Act 1954, wholeheartedly endorsed the five point charter of demands the Samiti has placed before the Government of Orissa, the number one of which is immediate implementation of the 1954 Act. Sri Parida informed the conference that in the first session of the Joint Action Committee, which the government has formed with the Samiti, responsibility is assigned to famous linguist Dr. Debi Prasanna Pattanayak to formulate a Language Policy for proper implementation of the Act. The next JAC possibly to meet in the last week of this month will concentrate further on the five demands, he said. On being requested by the delegates, Dr. Prusti gave details of the endeavors to get the Classical language status for Oriya. It was a moment of celebration in the conference, which applauded the Samiti for its contributions to the cause of the mother tongue. No negligence to implementation of the 1954 Act would be tolerated, the conference resolved, while appreciating the new positive stance of the political leadership in matter of implementation of the Act. Former Chief Secretary of Tamilnadu Sri Debendranath Sarangi, Financial director of NTPC poet Kulamani Biswal, Coordinator of Asima Orissa Kishore Dwivedy, President of Asima Orissa Kshirod Jena, Convener Nihar Samantaray, amongst others, felicitated Sri Parida and Dr. Prusti and assured them of all cooperation to make the steps taken by the Samiti succeed. They thanked poet gajanan Mishra and all others who sat in fast for the mother tongue. They also thanked the group of Ministers – Arun Kumar Sahu, Atanu Sabyasachi Nayak, Sanjay Das Burma and Pranab Prakas Das for the first collective steps they have taken to cooperate with the Samiti to speed up the process of implementation of the 1954 Act and they further thanked Minister Debi Prasad Mishra for making the initiative proceed ahead as head of the ministerial sub-committee. It is matter of proud and in 1962 oriya sovinor UTAKALMANI was released by MADRAS ORIYA SAMAJ WITH PARLAKHEMUDI MAHARAJA AS CHIEF to be remembered.